Win all 10 seasons of 'Spooks' on DVD! Win all 10 seasons of ‘Spooks’ on DVD! Posted May 1, 2015 by William Martin & filed under Win. Starring Game of Thrones actor Kit Harington and Lara Pulver from Sherlock with Spooks stalwart Peter Firth, Spooks: The Greater Good arrives in UK cinemas on Friday 8 May. 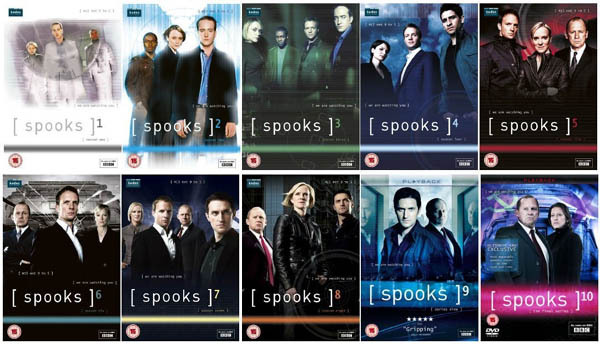 To celebrate, we’ve got sets of all 10 seasons of Spooks on DVD to give away to three of our Twitter followers! For further information on Spooks: The Greater Good join the Facebook page or follow @Spooksthemovie on Twitter! This competition has now closed. The winners are Jamie Lawrence from Northamptonshire, Samantha Marley from East Staffs and Sarah Spencer from Norfolk.